Mitasha is a freelance makeup artist with over 15 years of experience in the beauty industry based out of Northern California. Starting as a cosmetics manager at Macy's in 2003, she has worked her way through the rungs of the beauty industry obtaining valuable knowledge and experience to better her skills and to provide the best service possible for her clients. Mitasha has represented numerous cosmetic brands over time such as Biotherm, Shiseido, Christian Dior, Clinique, Lancôme, Estee Lauder, Chanel, Elizabeth Arden, Benefits, Sephora, M.A.C Cosmetics, & Guerlain Paris to name a few. She began her journey with Ash Kumar Beauty in 2011, taking the Bridal Hair, Makeup & Styling Course in New York. This catapulted her career in the South Asian Bridal Market in Northern California and beyond. In 2012, launching her own bridal services company which now caters to South Asian Brides. 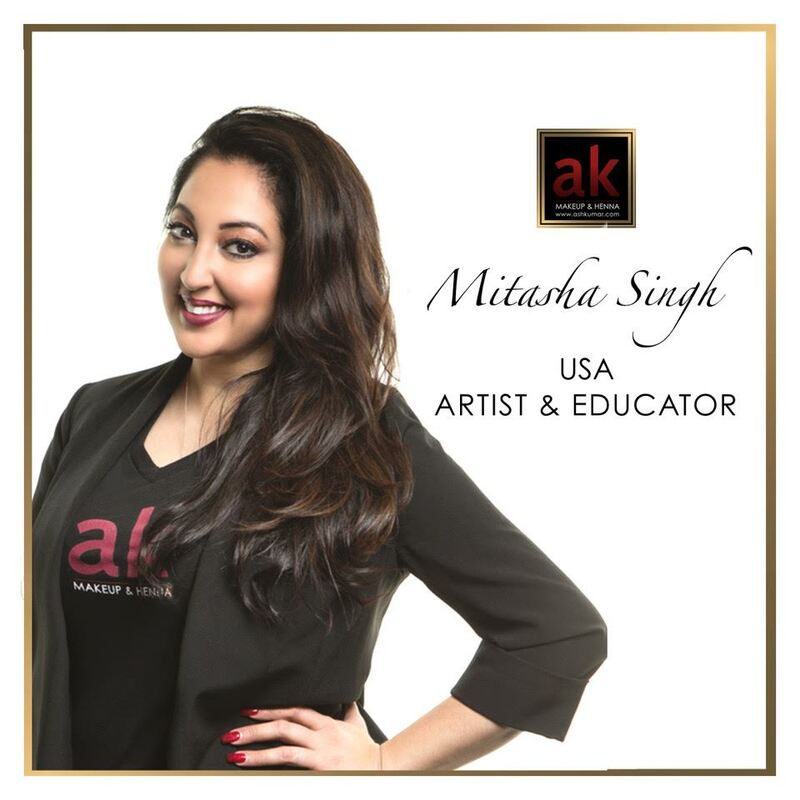 Mitasha was invited to join the Brand as a USA Makeup Educator and since then has grown tremendously. She empowers her students to push themselves to do the best work they can, while keeping true to her kind and inspiring personality, making each class a fun and knowledgeable experience for all her students! Mitasha delivers an expertise in soft glamour and High Definition makeup applications with an emphasis in contour and highlight. Dedicated to creating stunningly beautiful looks while making others feel and look their absolute best through the art of makeup is her passion! Specializing in traditional to soft dewy glam and high definition party and bridal makeup looks. Mitasha aspires to empower the women she meets and making them feel beautiful inside and out. She believes that makeup allows her to uplift a person’s spirit and that everyone is beautiful and their natural beauty should not be masked but be simply enhanced.